« AdsMinded WordPress Adsense Theme With Widgets! Firefox is always my preferred web browser to Internet Explorer (IE) and I’ve been using Firefox for more than 4 years already. 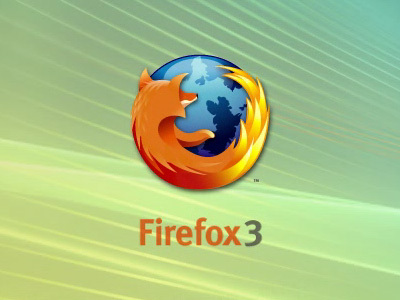 Today Mozilla, the developer of Firefox, has released the long awaiting Firefox 3.0! If you are a IE user and never tried Firefox before, I would recommend you to give it a try today. 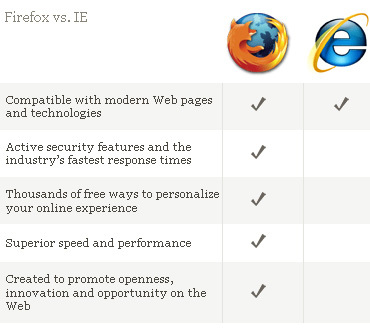 Mozilla even come out with their own brief comparison between Firefox 3 and IE to ease the decision making for IE users. Well, it’s undeniable Firefox development team usually fixes the application bug in a prompt manner, which is one of the reasons I like it so much. No software is bug free, it’s the effort of fixing the software that matters more. Today is also Firefox 3 Download Day, an attempt to set a Guinness World Record for most software downloaded in 24 hours. So, don’t wait any further, just click the download image and get Firefox 3 now! Anyway, kudos to Firefox Development Team and thank you for the efforts providing the best Internet browsing experience for the users, especially for people like me who can’t live without the Internet.